"A sacrifice for the eternal life is the only ideal that allows making temporary life happy." Moscow, June 24, Interfax - The Moscow Patriarchate official says that at the background of reconsidering the results of World War II it necessary to bring up Russians as a nation of winners. 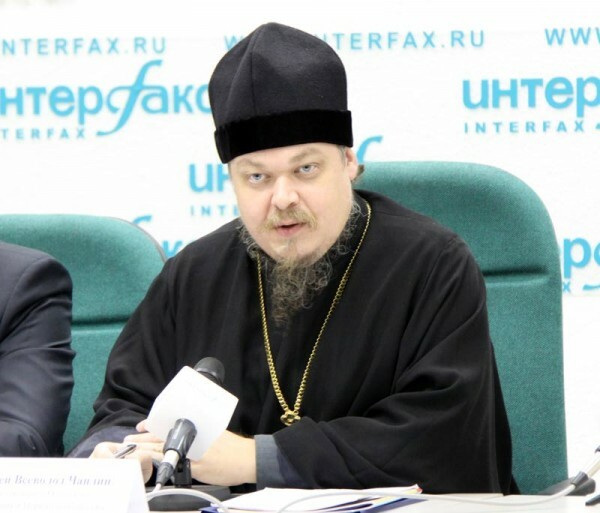 “There are attempts to transfer the history of World War II from discussions of who won it in discussions of who looks more like a victim as being a victim is the best political capital in some systems of values,” Father Vsevolod said at a round table in Moscow. “He is not an aggressor, but a winner. A winner at the field of battle, in sport competitions, over certain circumstances of life,” Father Vsevolod said. “Success is not a house at the seashore and a lot of money. Success, real success, is an ability to give up your life for supreme ideals, for faith, for Motherland, for close people,” the church official believes.